This unique pop-up drain fits drain openings up to 1 3/4 in. dia. Sink Drains: Chrome Push-Button Pop-up Drain with overflow. 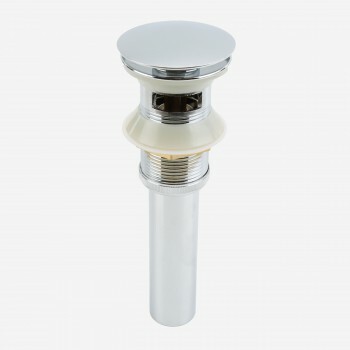 This unique drain has a push button pop-up feature; simply push the drain stopper to open and close the drain!